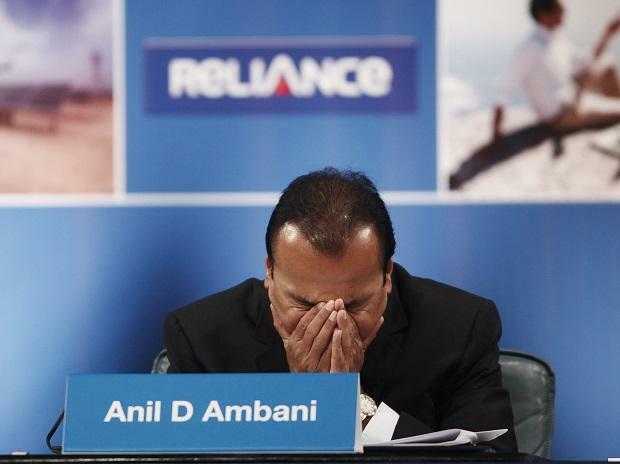 The Supreme Court on Wednesday held Reliance Communications (RCom) Chairman Anil Ambani (pictured) and two of his top executives guilty of contempt of court for wilfully failing to pay the dues to telecom equipment maker Ericsson. The court directed Ambani, Reliance Telecom Chairman Satish Seth, and Reliance Infratel Chairperson Chhaya Virani to pay Rs 453 crore within four weeks or face a jail term of three months. It also slapped a fine of Rs 1 crore each for their “cavalier attitude” towards the court’s orders. Delivering its judgment in a contempt petition moved by Ericsson India against Ambani and his executives for failing to pay Rs 550 crore, a two-judge Bench of Justice Rohinton Fali Nariman and Justice Vineet Saran held that the three Reliance group companies had “no intention, at the very least, of adhering to the time limit of 120 days or to the extended time limit of 60 days plus, as was given by way of indulgence”. “The undertakings given on the footing that the amount of Rs 550 crore would be paid only out of the sale of assets were false to the knowledge of the three Reliance companies. This itself affects the administration of justice, and is, therefore, contempt of court,” the Bench said in its 41-page order. A sum of Rs 118 crore, which had been deposited by RCom with the court registry, would also be released to Ericsson India within one week from Wednesday, the court said. Ericsson India had in September 2017 moved insolvency petitions against RCom, Reliance Telecom, and Reliance Infratel at the Mumbai Bench of the National Company Law Tribunal (NCLT) for failing to pay their dues amounting to nearly Rs 1,500 crore. The petition was admitted by the NCLT in May 2018, following which the three Reliance group companies approached the National Company Law Appellate Tribunal (NCLAT). It was in the NCLAT that Ericsson India and the three Reliance companies had come to a settlement that the latter would pay Rs 550 crore within 120 days, that is by September 30, 2018. The NCLAT had in its order noted that if RCom and its two subsidiaries failed to pay the said amount within the timeline, Ericsson India would be at liberty to revive the insolvency application. On September 27, 2018, three days before the deadline, RCom and its subsidiaries approached the Supreme Court, seeking an extension to the deadline to pay the amount. In its plea before the top court, RCom had said it needed more time due to the delay in completion of sale of spectrum and other assets. Hearing the matter in October, the apex court had granted RCom and its subsidiaries time till December 15, and made it clear that no further extensions would be granted.